Merry Christmas from all of us at The Listen Group. This year we decided to do something special for all our clients and suppliers. 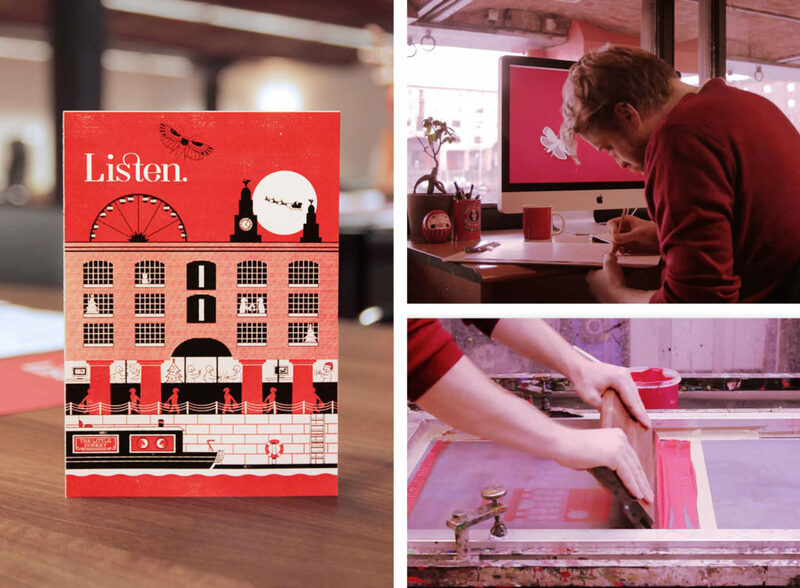 As a way of saying thanks, we sent them each a personalised hand screen-printed Christmas card. We filmed the process from the design of the card to the printing process that went in to each individual card. There were over 200 cards made and sent out.